So much answered prayer is coming to pass. After more than three years in an Iranian prison, Pastor Saeed Abedini has been set free and is currently on his way back home. As one who has led the charge of freeing Pastor Saeed, Jay Sekulow with the ACLJ, was able to have his first conversation with Pastor Saeed over a conference call. This is the first time that Jay was able to personally speak to the very man that he had dedicated so much of his life during the last three years. Watch this impacting conversation and see first-hand the dialogue, and so much more. 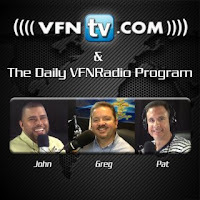 Also shared in this segment: answered prayer, persecution, freedom, and nations. Greg and John shared in this segment. So many are continuing to mourn and remember Mike Riddering, a Christian Missionary who was recently killed in Burkina Faso Africa. As we remember the impact of his life, we see just how wide spread the impact of Mike’s life was; not only in Africa, but also back in America. This is especially true of his brother Jeff Riddering. In an interview with CBN, Jeff shares about Mike’s beginning testimony when he gave his life to Jesus Christ. More than 11 years ago, Jeff received a phone call from his brother, Mike. “He made a decision for Christ that changed his life. He encountered God in his pick-up truck. He was going down the street one day, he calls me on the phone, still pulled over on the side of the road, he says ‘Jeff, I think I’m going to hell.” On the other end of the phone, Jeff tried to encourage him, “No you’re not. You grew up in a Christian family. Are you sure?” Not really sure what was happening, Mike responds, “No, I don’t love God… I think I’m about ready to love God. I’ll call you back.” That was the moment that ended up being the beginning event that would later carry Mike to Africa in response to God’s call on his life. We cannot help but to be changed and transformed when we encounter the Love of God. We are compelled to live out our lives as a thank you in response to the One who loves us so deeply. Imagine living a life, not a long life, but a fulfilled life in the Kingdom, in response to where God is calling you now. Be encouraged and reminded of the power of love as you hear Jeff sharing about the impactful life of his brother, Mike, and so much more. Also shared in this segment: repentance, humility, obedience, evangelism, missionary, love, giftings, Dr. Martin Luther King Jr., purpose, Rick Joyner, and Rick Warren. Greg and John shared in this segment.